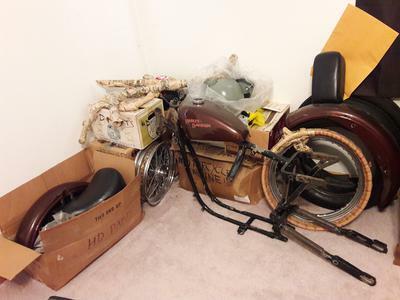 I have a 1962 Harley Basket Case for sale because I bought a new rig and this project just fizzled and died. The 1962 Harley Sportster XLCH had some transmission bearings come out of the case. It is going to need that Trock fix for the case. The jugs are off of the motorcycle but it will run once repairs are made to the transmission case. The bike's frame is off of a 1977 sportster that I started to modify. prices people are selling their old 1962 Sportster parts for. 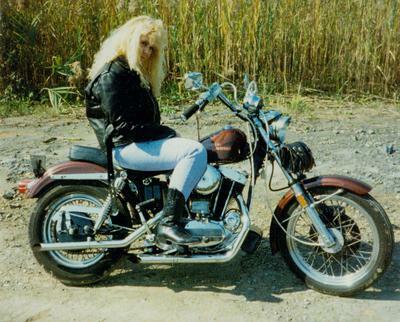 Email me about the old Harley Sportster using the form provided by GoGoCycles Used Motorcycles for Sale.